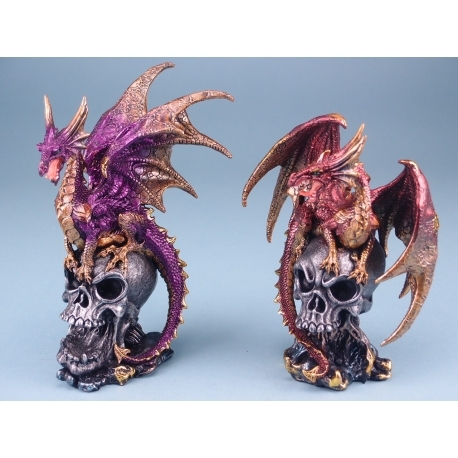 Comprised of polyresin, these two ornaments depict dragons perched on silver human skulls, and are ideal for those who are fans of fairy tales and folklore and wish to add a dark and dramatic effect to their decor. 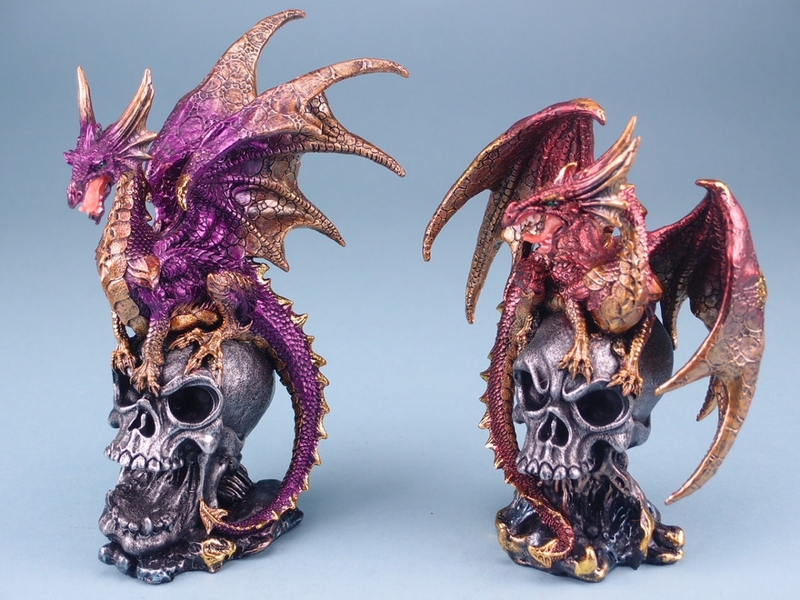 This assortment of two dragons differs slightly in size due to the positions in which they are sitting and, with their metallic two-tone colours in red and purple, make a beautiful set piece when combined. Each ornament comes packaged in it's in own box for protection and would make the perfect gift for lovers of this magnificent mythical creature. Please note these ornaments are not toys and therefore not suitable for young children.